Is There More to Off Page SEO Than Link Building? Home » Is There More to Off Page SEO Than Link Building? To be clear, there are two types of SEO – On Page SEO and Off Page SEO. For many people, off page SEO immediately conjures advice about link building, and that’s not entirely wrong. When it comes to Off Page SEO the Pareto Principle holds true – 80% of success stems from building quality backlinks. Link building does play a large and vital role in how search engines assign your site credibility and ranking power. So it’s certainly not everything, and site owners who stop at link building are leaving some valuable opportunities on the table. This can be understood as the totality of everything that affects your ranking power that is not done through your coding or on the site (or individual page) itself. This might not be everything in off page optimization, but it’s still an important part and something to discuss. First Things First. What Is Link Building? 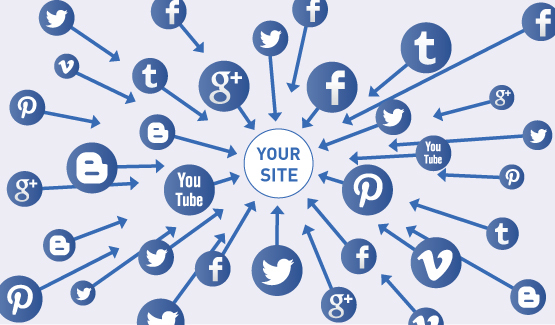 This is the process of getting other sites to link back to your content or web pages. Back in the “early days” of SEO, people realized it was easy to artificially inflate your number of links and, therefore, your ranking. Whether it was commenting on forums specifically to add the signature with the website link or submitting your website to a multitude of blog directories, it didn’t take long for search engine algorithms to wise up and start taking punitive action against these unacceptable tactics. If these techniques actually hurt your site, then what is the best way to develop a link system? Answer: quality content. Create remarkable, engaging content that people want to read and share. It’s the easiest and the hardest thing in the world. Create linkable content, and people will link to it. Don’t forget this is also largely about quality over quantity. Tons of new sites can link to you, and it won’t make the same impact as one link from a truly authoritative site (a .edu, a national publication, etc.). As long as the content you’re posting is valuable, informative, and engaging, every social media site can be a channel to reach your target audience and increase your site’s authority. Off page SEO is more difficult to control than on page SEO because you can’t make another site link to you naturally or force your market to discuss your brand via social media. However, it also takes a lot of the guesswork out of the process. It’s not about tricks or tactics or coding. Anyone who can create quality content can have success with off page optimization!